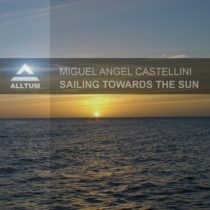 Miguel Angel Castellini is well known for his uplifting sounds, but now he surprises us with a more laid back progressive trancer called Sailing Towards The Sun, perfect for the summer season. On the remix we have a fresh new name to our label, but certainly allready a guy who build a name for himself in the Melodic Progresive scene. We are very proud to have him on board: Vince Forwards. Vince gives his own unique twist to the original. Played by Cosmic Gate !